dRachEmUsiK is the solo project of musician, sound artist, sound designer and producer Charles Shriner. dRachEmUsiK combines a plethora of nuanced techniques in order to create groovy and meditative soundscapes, giving structure to improvisation. This style manifests itself into an organic and natural composition of a free flowing design resulting in improvisations and structured pieces ranging from ambient to glitch-groove, noise to modal jazz. Charles Shriner has been a full-time musician for over 45 years. During this time, he has worked as a composer, arranger, session player and instrumentalist touring with numerous internationally-known performers. His compositions, sound design, and work as a sound artist have been featured in museums, public art installations, planetariums, video games, films, theater works and dance troupes. Charles is the owner of MCSD Studio, Inc, a boutique audio production studio that provides personalized services to musicians, visual artists, museums and public installations. • Indianapolis Children’s museum’s Dinosphere exhibit, winner of an American Museum Association award. • Hartsfield-Jackson Atlanta International Airport’s permanent art installation Flight Paths. 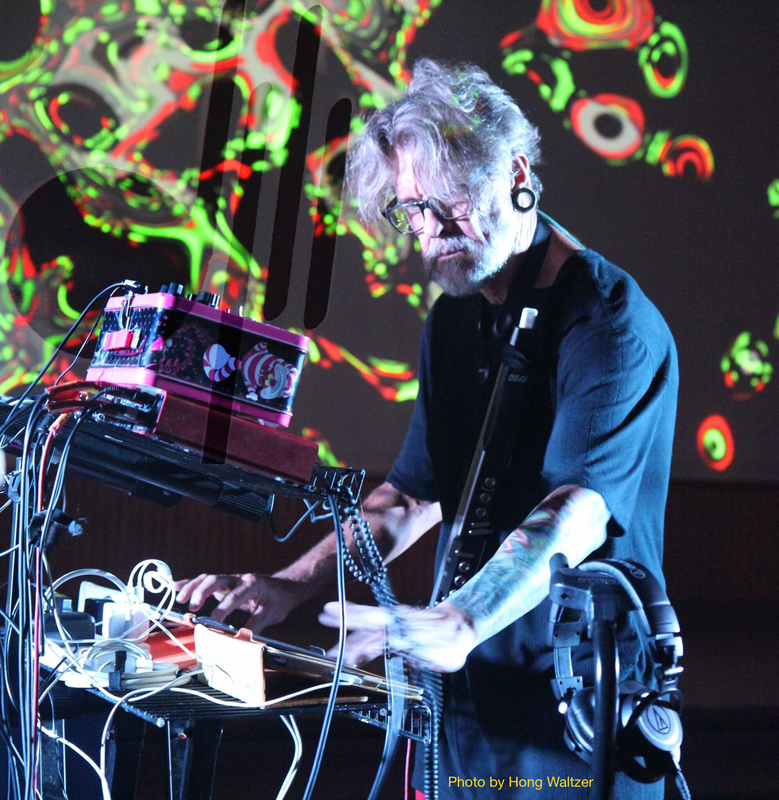 For the last ten years, Charles has focused on creating and performing post-classical experimental electronic and electroacoustic music with his solo project dRachEmUsiK, Faux Pas Quartet (with Aaron Urbanski, Duncan Putnam, and Jen Schmetzer) and duo embral (with Adam Holquist aka onewayness). He also collaborates with other artists in the experimental electro-acoustic and electro-music.com communities. As a curator and community organizer, Charles has a strong interest in promoting and creating opportunity for experimental musicians. He is a co-founder of the Indianapolis Electronic Music Group, he has hosted and performed on the weekly streaming radio show and podcast Music from Last Thursday and he organizes the MEME and electro-music festivals in Indianapolis, Indiana. Charles is also a mentor to experimental and improvisational musicians and he offers a series of day-long workshops on free-form improvisation that incorporate his training and facilitation skills in Jungian-based experiential emotional work. Charles currently resides in the Irvington area of Indianapolis, IN with his husband of 27 years, Burt Woodruff and their two cats, Meeps and Francis.